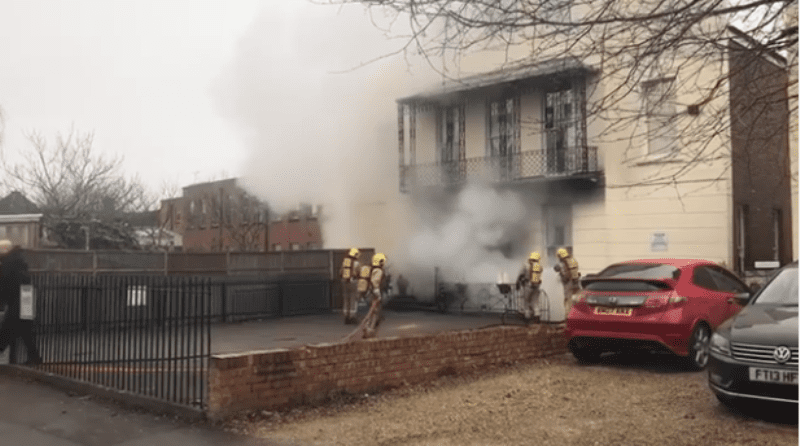 A fire which broke out on Sunday morning at Elephant Moon Day Nursery in the centre of Cheltenham is currently being treated as a deliberate act. Police are looking for a homeless man who was seen sleeping in the stairwell and are also looking at CCTV footage to try and trace the person who was spotted near the building. No one was in the building at the time, but there is said to be minor damage to the facade, door and window of the basement area. Firefighters were called at 8am on 12th March to find flames rising from the basement of the building. Three fire crews brought the fire swiftly under control. Station manager Russell Parker, who was in charge of the scene for the fire service, believes that the fire may have been started by a homeless person sleeping there who may have been smoking or lit a small fire to keep warm and then fled the scene. Anyone with information on the incident is asked to call Gloucestershire police on 101.